WALNUT Twp. — What is being described as a “shooting incident” in Walnut Township on Wednesday has resulted in several suspects being taken into custody, though an Ironton man wanted in the incident, remains at large. Gallia County Sheriff Matt Champlin released a statement in regards to the “shooting incident,” stating a property owner discovered a theft offense occurring at his property on Evans Road Wednesday morning and intervened. Ultimately, the property owner pursued the suspects in a vehicle to the area of State Route 141 near Jake Road where a confrontation reportedly ensued and gunfire was exchanged between the suspects and the property owner. Several suspects have been taken into custody, however, one individual remains at large and is considered armed and dangerous. 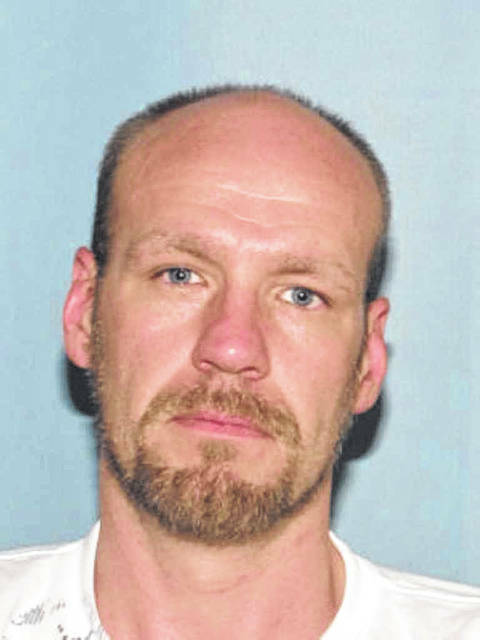 That suspect, Gregory C. Cox Jr., age 37 of Ironton, fled the scene prior to the arrival of law enforcement and is currently being sought. Cox is described as being 6-feet 4-inches tall, weighing approximately 210 pounds and having brown hair and blue eyes. Champlin cautions if anyone has any information as to Cox’s whereabouts, they should immediately contact law enforcement and not attempt to initiate contact with Cox. This investigation is ongoing at this time and is being worked in conjunction with the Ohio Bureau of Criminal Investigation (B.C.I. ), the Ohio State Highway Patrol and the United States Marshal’s Service.